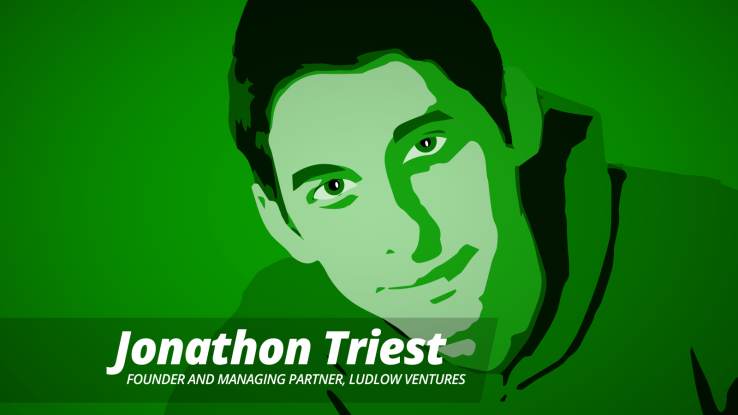 You meet interesting people backstage at conferences and in 2013 that included Jonathon Triest who started Detroit-based Ludlow Ventures. Despite the seemingly not so humble tagline (“VC Done Right”), I found him to be a ‘grow the pie’ guy who excitedly looks for opportunities to help entrepreneurs and collaborate at the seed stage. In that spirit, asked him to share some background and perspectives. Hunter: We met last year and i’ve been impressed by your eye for interesting companies but I’ve got no idea how Ludlow Ventures got started. What’s the origin story? I’ve always had a passion for photography, so while at U of M I joined the Michigan Daily (the campus student publication) as a photographer. I’m dating myself here, but this was during the transition to digital. In fact, most of my early work there was done by pushing and developing film manually. I fell in love with the post production work I was doing and my interest in photography started to subside. I taught myself the Adobe suite, and one thing led to another. I found myself doing a lot of design work. There was really a need for designers at the time, so I figured “hey, I’m ok at this. It holds my attention, and I can charge a boatload for a silly logo (long gone are those days.) I opened Triest Group a small design boutique and moved to NYC. It was there that I started doing strange things to get in front of people I wanted to meet. My first client was a company that made really cool headwear for men. They ignored my emails, so I found out the CEO was leaving town to attend some fashion conference in Brazil. When I knew she was out of town I went to her offices as if I had a meeting planned. Chutzpah. After her assistant was done apologizing for the “miscommunication” I told her I’d leave my mockups in the CEO’s office. The CEO returned to my vision of her brand plastered to every wall in her office. I could have gotten a nastygram, but instead got hired… client numero uno was in the books. I continued to do more branding and design work for clients and over time found myself working for mostly cool tech startups. I was smitten. No turning back. Moved to Jerusalem, Israel, then Atlanta where my wife was in medical school, and finally moved back home to Detroit when we started having children, all the while building up a good book of design business for tech companies. As the years progressed I found myself less interested in design and more interested in the business side of the startups I was working for. I made the decision that someone with the attention span of a gnat would do better on the investing side of the table rather than operations and began pitching friends and family on the idea of starting a small fund. It remained just that, an idea. No one had much faith that I could effectively invest their hard-earned capital (and rightfully so, I had no formal training, a pathetically small network, and half-baked strategy.) So then I did what any self-respecting, eager beaver would do… beg. I basically made myself so annoying that in an attempt to get me to leave them alone a few family members dedicated a modest amount of capital to help me get the first “fund” (no outside LP’s) running. I crowdsourced a logo, named the firm Ludlow after the street I grew up on as a kid, and made myself some business cards. Game on. I went out west and started knocking down the doors of the most reputable investors that I had been reading about. Most of those doors were reinforced with steel and never budged, but a few opened. Brad Feld (Foundry Group) and Naval Ravikant (AngelList) were (semi) receptive to the idea of mentoring me, and I’ve made them regret that every day since. There’s more… but that’s probably way more than you were interested in. HW: You’re in a wide range of interesting companies – how do companies usually hit your radar? JT: We seek out incredible people bringing BIG ideas into fruition. Our ears are always to the ground, and the second we hear of an impressive personality, we do everything in our power to meet with them. Hunt them. Make is so they have trouble going to sleep at night without taking our money. Sounds kind of creepy. But hey… we’re kind of creepy. 1) Companies we read/hear about and hunt down. 2) Warm intro’s from entrepreneurs we’ve previously funded. 5) Cold emails (should be noted that we’ve never invested in a cold intro… not to say it will never happen, but it hasn’t happened yet. HW: Sooooo Detroit VC scene. What’s that like? JT: It’s Growing. We moved our offices to Downtown Detroit nearly three years ago and the transformation has been spectacular. There’s LOTS of growth still needed to make it sustainable, but if the trends of the last three years are indicative of the future, we’re in a good spot. It’s a small scene. Everyone knows everyone. More importantly, like true midwesterners, people are always willing to help each other. When a Michigan company wins, we all truly feel like winners. That’s not something I’ve seen outside of Detroit. HW: Is it getting more competitive for early stage VCs like yourself? Are you finding sharp elbows working with larger VCs? Get screwed out of pro rata recently? Screw that. Ya, we’ve gotten screwed out of some later rounds by larger VC’s. But, to be fair, of the 20+ companies we’ve funded that have gone on to raise larger rounds, it’s happened twice. While not the norm, it still stings. We made a bet on these teams when the fancy-pants VC’s weren’t ready to back them. Then they prove themselves and we get diluted. Still figuring out how to send them flaming bags of poop. HW: What’s something you believe that might be contrarian or a less frequently held belief among other investors? JT: That the most important qualities in a founder (or founding team) are not technical skills or business expertise, rather the ability to communicate clearly, passionately, and effectively. If someone can explain what they do clearly in the first 30 seconds, there’s a good bet I want to learn more. Most people are boring. It sounds rude to say, but it’s true. At Ludlow, we are always looking for the unique individuals that captivate and motivate those around them. This entry was posted in Uncategorized and tagged VC. Bookmark the permalink.